Is your garden in a state of disrepair? Are you looking for quality landscaping in Southampton but aren’t sure who to call? Well, look no further than Abbey Turf for the finest Southampton landscaping on the market. 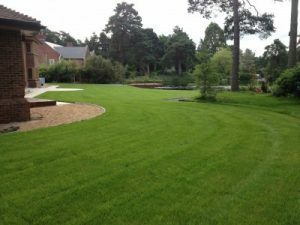 With over 25 years of experience and a wealth of industry knowledge, we provide second-to-none, high-quality turf and landscaping services for domestic, commercial or trade customers. Get in contact today to find out how we can help transform your garden. From regular pruning and general maintenance to a major garden renovation, here at Abbey Turf, we have got you covered for all your gardening wants and desires. With more than 25 years of industry experience, you can be assured that we will landscape every property to the highest standards possible; we are a reputable company that you can trust. We tailor all of our landscaping Southampton services to the exacting needs and budgets of our clients. So, whether you are looking to renovate a private garden or commercial property, we can bring your dreams to reality. Here at Abbey Turf, we believe that it is vital to entrust the renovation of your garden, to quality landscapers in order to receive the finest landscaping in Southampton. To get the process started, give our quality landscapers in Southampton a call on 02380 812302, and we will be more than happy to visit your home and discuss your ideas for your garden, in person. You’ll simply be spoilt for choice when you choose Abbey Turf to transform your garden today. All you need to bring is your imagination, and we will help you to create your picturesque paradise that you’ve always wished for. We can deliver these products to a variety of locations across the South Coast, namely Southampton, Andover, Salisbury and many more. Be sure to check out our deliveries page to find out if our delivery service covers your area. Why should you invest in our superior Southampton landscaping service? Our highly-trained landscapers work tirelessly to provide you with a garden that goes above and beyond your expectations. We are committed to providing our customers with the very best value for money as possible, so we make sure our fees are the most cost-effective. One thing is for sure, when you choose Abbey Turf landscaping services, you can rest assured knowing that you are getting unbeatable results, at the lowest price around. 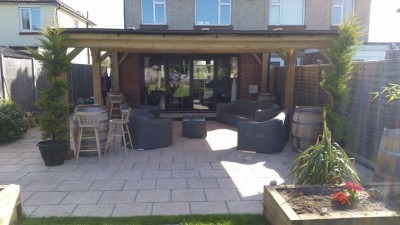 How can our quality landscaping in Southampton service benefit you? There are countless benefits of choosing to renovate and redesign your gardens with us at Abbey Turf. Namely, you can have peace of mind knowing that we have more than 25 years’ experience in the landscaping industry and with our free no obligation, quotation service you really have nothing to lose. If you are still unsure, about how our superior range of Southampton landscaping services could benefit you and your home, then why not take a look at what our customers are saying about us. If you are looking for inspiration from our previous landscaping in Southampton projects or some insight into our most recent work, be sure to check out our gallery to see what Abbey Turf can do for you. Well, what are you waiting for? For the best landscaping Southampton service on the market, we are the company to call. We provide our customers with unparalleled results at an unmatched price, so entrust us with transforming your garden today and enjoy the benefits tomorrow. Contact our team today on 02380 812302, or by email to info@abbeyturf.co.uk to discuss your desired service.